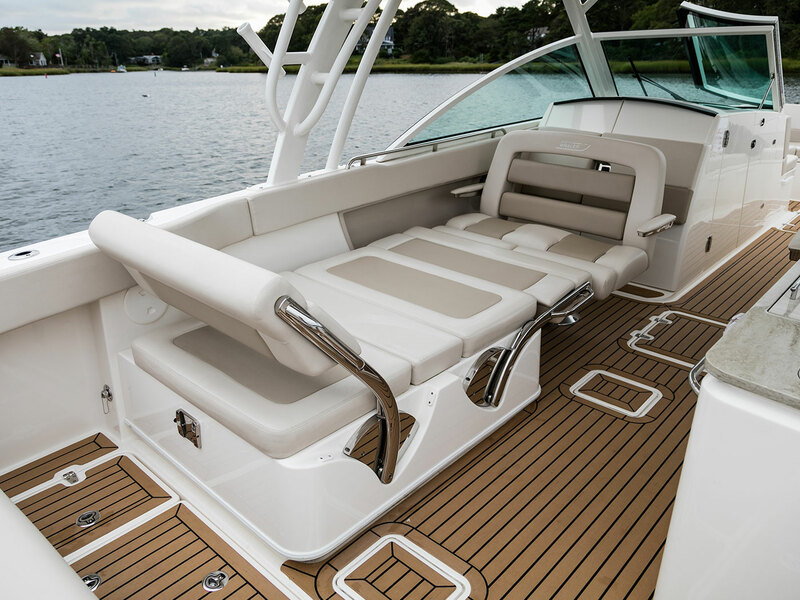 An unsinkable hull plus brilliant design and advanced technology equals the most trusted boat on the water. 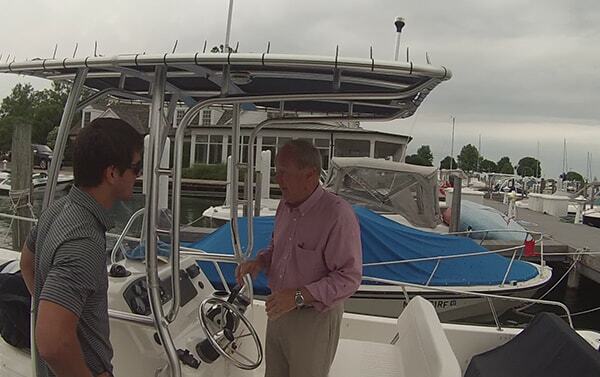 Yes, you can cut a Boston Whaler in two and drive away in the half with the engine. 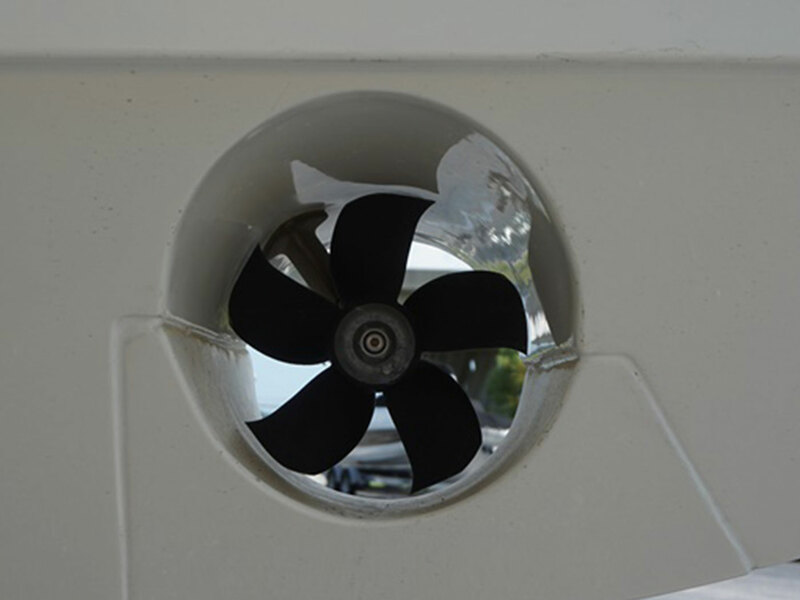 But unsinkability means more than just the unmatched safety of Unibond™ hull construction. It means smart design, high-quality construction and forward-thinking technology. 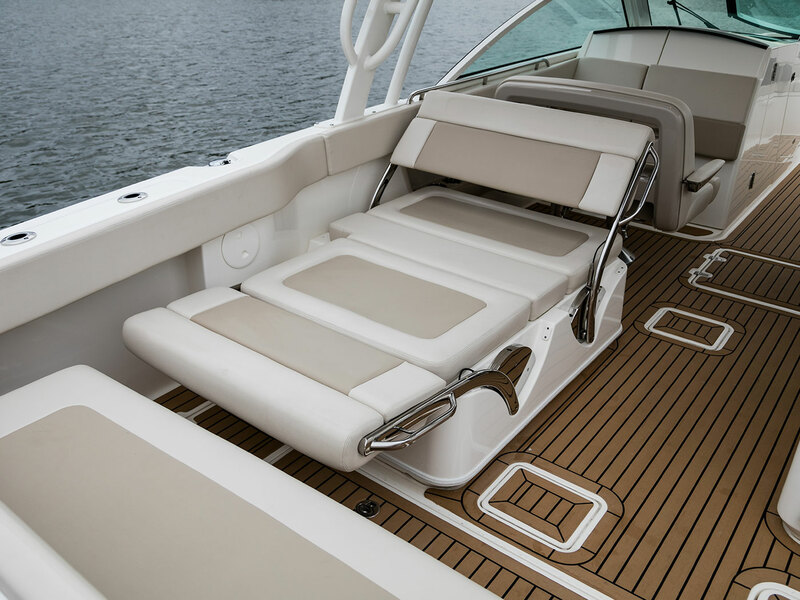 It means premium experiences and comfort year in and year out, whether you’re fishing, cruising or both. It means having the Core Confidence to take on anything from the shallows to the roughest offshore water without worrying about a thing. We don't just stand behind our boats. We stand on them. Then fill them with water and pack them with people to prove that Whalers are truly Unsinkable. “Unsinkable” isn’t just a fancy word. 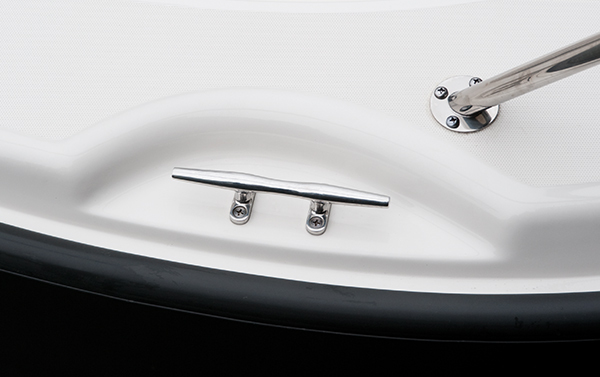 Learn exactly what goes into making a Whaler the safest, most reliable boat on the water. Whalers aren’t afraid to take a bullet—or hundreds. These rugged bona fides are attested to by the confidence of commercial entities, government agencies and military forces around the world. Boston Whaler’s design team spends countless hours gathering customer insight though in-person interviews, phone calls and online surveys. The data from these conversations informs our product updates and future initiatives, ensuring a premium, owner-first experience. 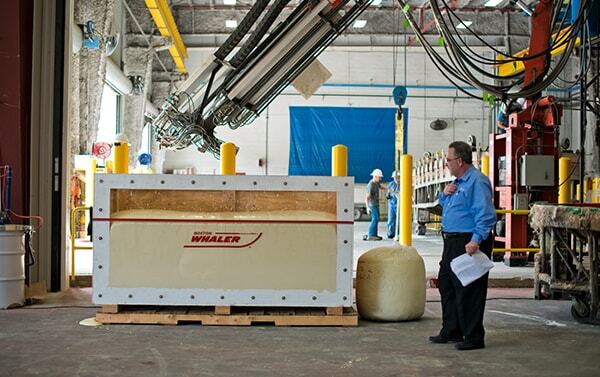 Whalers set the standard not only for their reliable performance and innovative engineering, but also for their style. Our long lists of patents proves it. Click through the image gallery to learn more about each patent. Whaler hulls are things of beauty. But more than that, their sleek, precise curves make outings in any condition comfortable and confidence-inspiring. 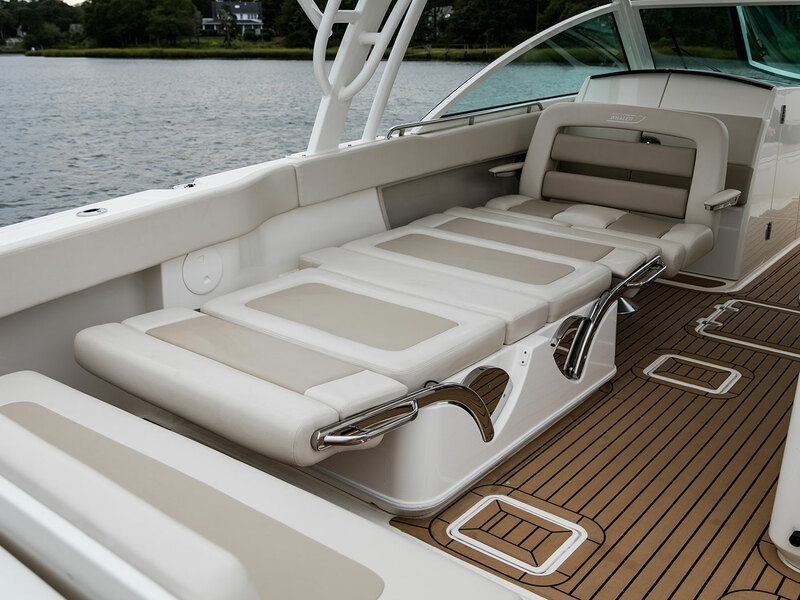 We’re committed to creating boats that are purposefully engineered to be safe, functional and low-maintenance, while they deliver a lifetime of carefree pleasure. 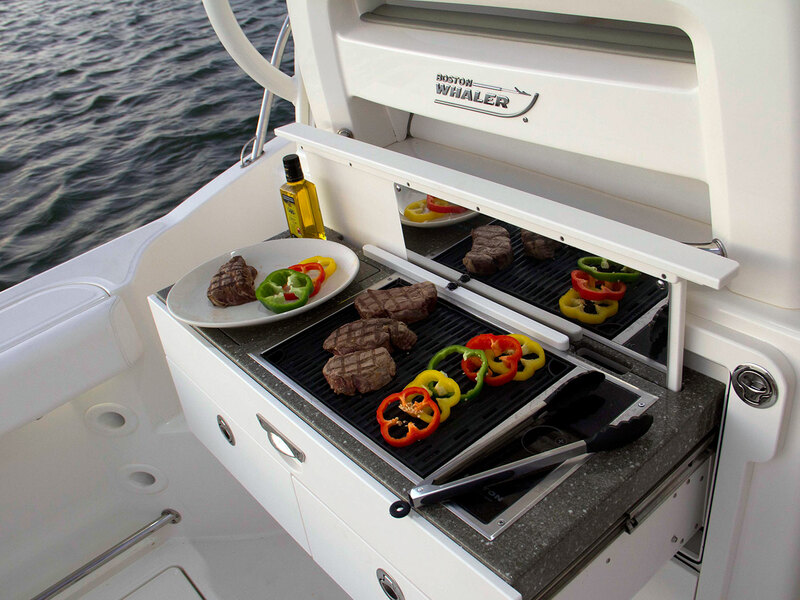 Every new Whaler model generates buzz in the marine industry and, oftentimes, some pretty special awards. 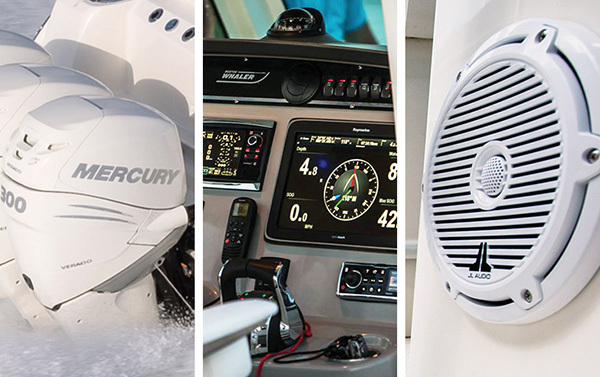 Here are a few of the awards for our most recent boats. 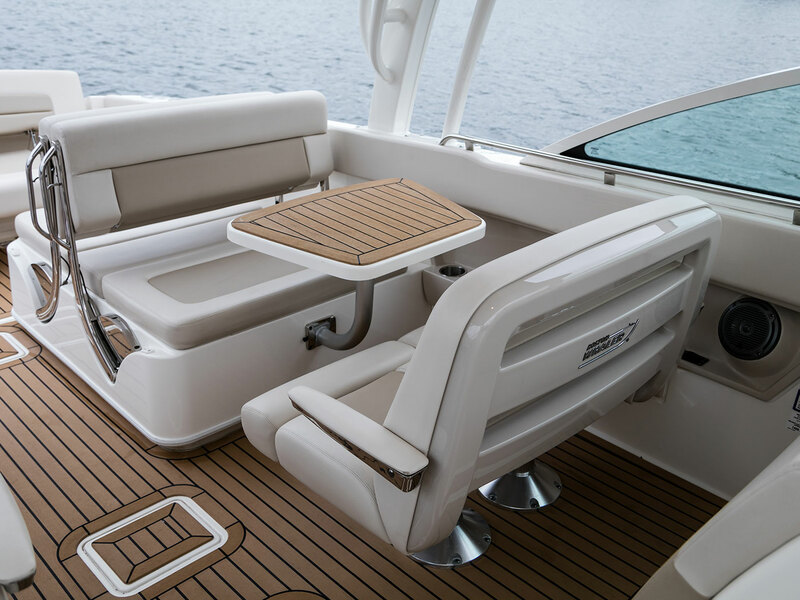 The award-winning 345 Conquest redefines onboard space, with more room for amenities, people and on-water possibilities. Meet the king of the ocean. 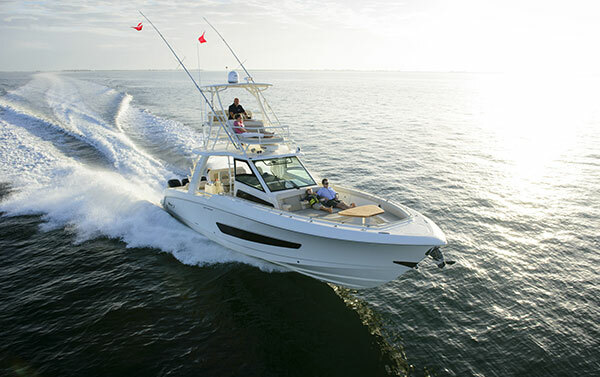 The 420 Outrage, Whaler’s flagship model, is stunning, powerful, feature-rich and capable of taking you farther, longer. 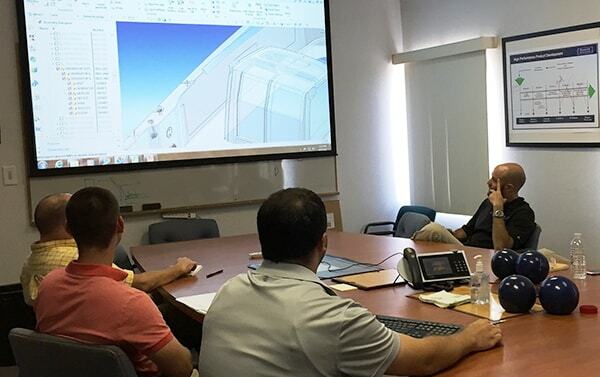 Boston Whaler uses a detailed portfolio planning process to ensure we are developing the highest quality products for our customers. Our strict process creates a roadmap of goals and delivery dates, ensuring every new product is delivered on time and lives up to the Boston Whaler name. 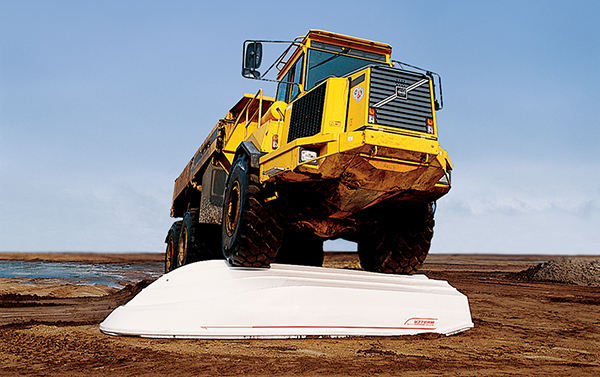 This monstrous earth mover makes waves and rocky shorelines seem kind of wimpy. 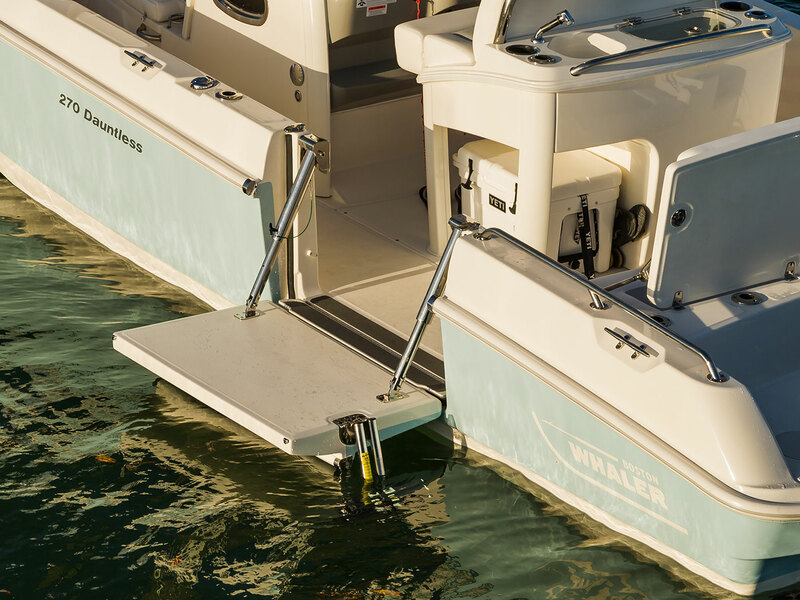 Every Whaler is built for maximum durability, dependability and structural soundness, so you can tackle any water with absolute confidence. Our robust quality control process starts the minute raw materials arrive to the factory, and continues until your Whaler is delivered. 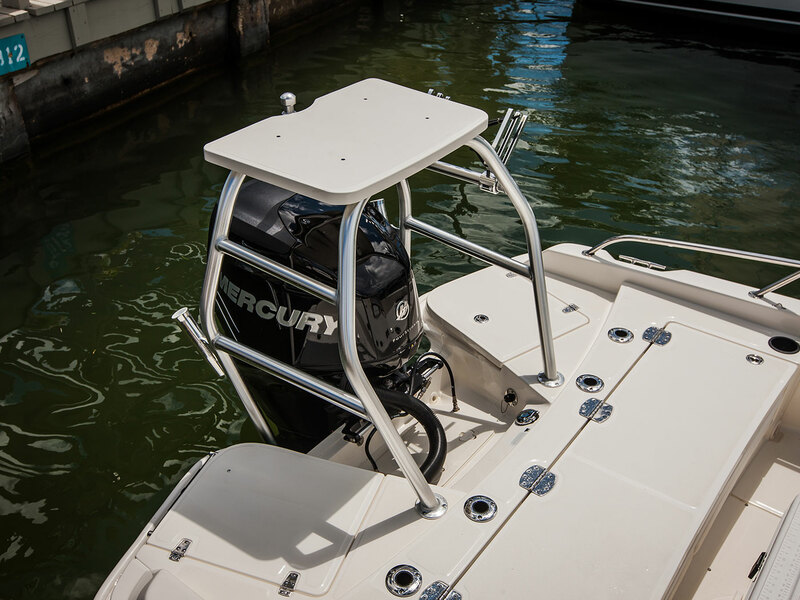 QC systems help manufacturing experts inspect each boat to ensure the final product is worthy of the trusted Boston Whaler name. 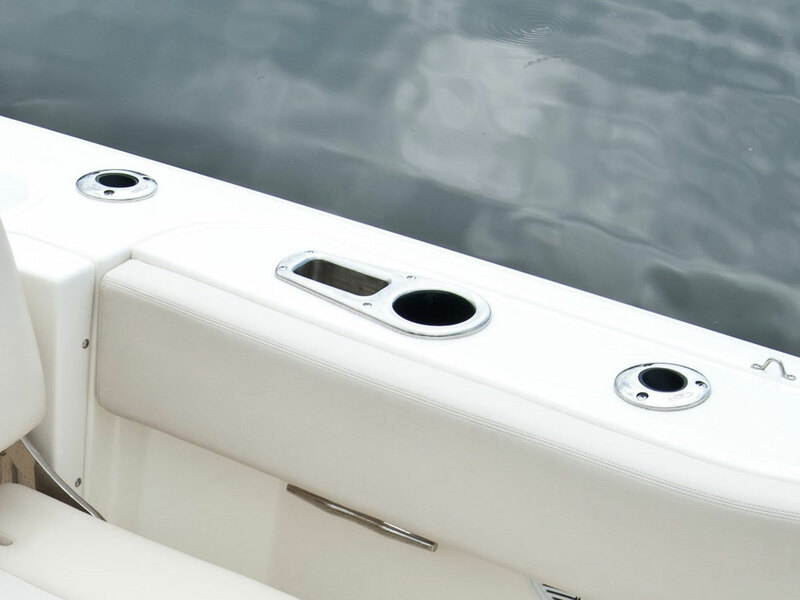 Boston Whalers boast yacht-quality, corrosion-resistant 316-L stainless steel railings and hardware for sturdy, reliable and well-placed handholds to fight the elements and help you keep your grip in the roughest seas. 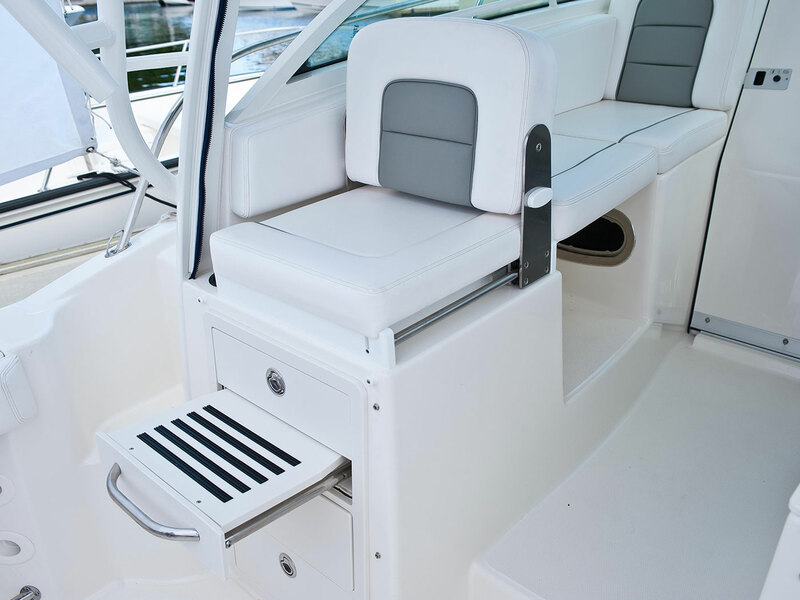 Even the molded surfaces in bilge areas have the same smooth, high-gloss, gel-coated finish as the rest of the boat, providing for minimal maintenance and easy clean-up. 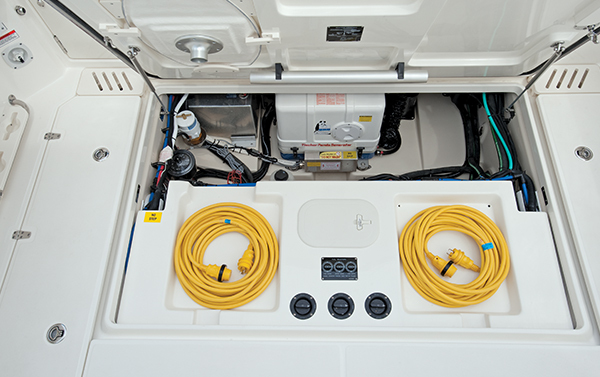 Boston Whaler is committed to investing in forward-thinking technology, enjoying trusted partnerships with the industry’s leading propulsion, navigation and communications experts. Whalers don't just do the job; they do the job with zeal. 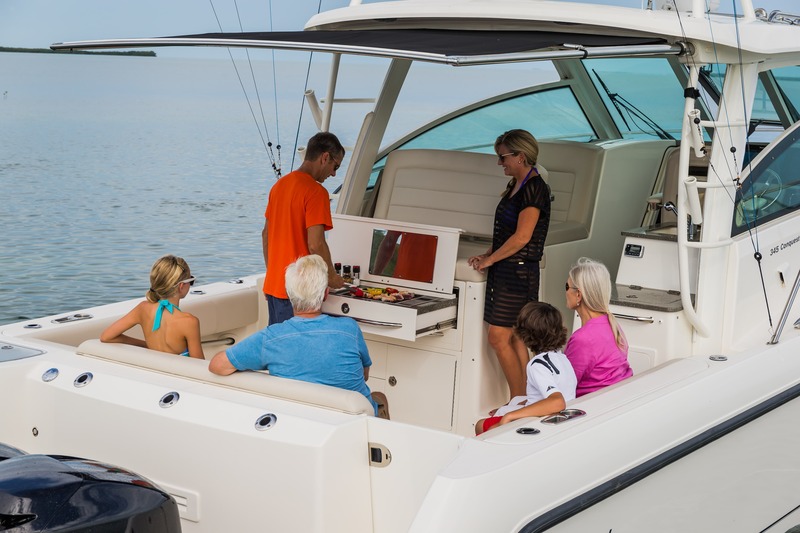 No matter how you choose to spend time on the water, be assured that you're on the most capable boat imaginable. When a Whaler is cut in two, the half with the motor can drive off without missing a beat. See this incredible feat with your own eyes during the Unsinkable Legend Tour. A sawed-in-half 180 Dauntless made stops throughout Florida and along the eastern seaboard, ending at Whaler’s birthplace in Boston.